2018 is going to be a unique and rare year, compared to the previous few years. The year will be bringing many unexpected changes and there will be a lot of required expiation to justice and truths. It will be in areas of rewards and punishments, equality and fairness. The year will not be easy-going or laid back. The transition will strengthen and this means that we will be pushed out of our comfort zones. The faster we tune up and align with the Spiritual Principles, the easier it will be. We are in a phase where the life around functions like a mirror. The various incidents and occurrences of life reflect our inner nature and characteristics. It continuously shows what is within, so that we can see clearly and know what to work on. To reach peacefulness and a positive phase, we have to continuously work on ourselves. Always do not forget, the Pralaya period is a very rewarding and good phase. It is a period of transformation. We forget that amidst our struggles. It is in this period that we can grow the maximum and so much help is available from the Divine. The year presents opportunities wherein if we spend proper time in reflection and introspection and make sincere efforts towards the necessary changes, we will be able to overcome our limitations faster. We will be able to start enjoying the period of transition rather than struggling through it. Another important aspect of the year will be the thrust on proper balance of the Spiritual and material aspects of our life. 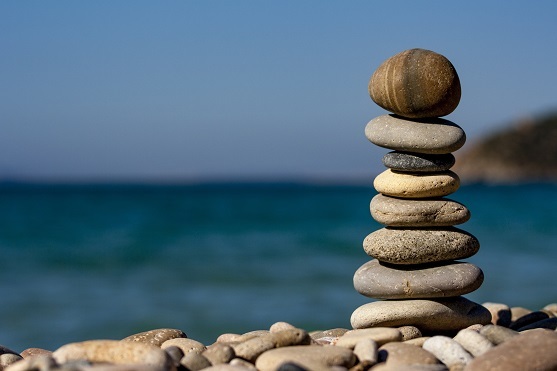 Bringing a proper balance helps in clearing various issues we face. There will be five eclipses during the year and each of them will be important. The energies released during the respective eclipses will help each individual in various ways throughout the year. Many heavy karmas too will be burnt. The mid of the year will be challenging and there will be a strong push for everyone to become more positive. We can sail through by breathing more, accepting more and tuning up. Hold a lot of love and gratitude within and connect to Light. These small practices will help us tune up and we find a way. The Rishis also give a technique that can be practiced anytime throughout the entire year. It will help us to absorb and connect to the necessary energies required at that point in time and tune up to the Pralaya processes. It will work wonders when we make sincere efforts. We can face any direction while practicing this technique. But please sit in a room and practice. Duration – 24 to 60 minutes. Connect to 2018, and offer your respects, love and gratitude. Be mentally open and flexible to receive the Light and love and accept whatever comes. Then, imagine Bluish-Purple Light coming from 2018 and allow it to fill your entire body. Experience for some time. Then, with your intention send the Light to your upcoming life, decisions and period. Keep sending such that each of the aspects gets filled with the Light and experience this throughout the Meditation. Silently keep repeating the mantra “Om Kala Tejasayai Namaha” silently. January will be a preparatory month for the whole year. It will be an opportune period for all of us to decide and implement important decisions. We will be able to experience various auspicious energies and the eclipse energies this month. Be patient and make efforts to absorb the energies. They will help us immensely going ahead. The Shunya Masa Rishis will be with us till the middle of the month. Connect to them as often as you can and make best use of their Light, energies and Wisdom. We will also have the presence of Sankranti Purusha later in the month who will bring amazing energies and gifts for humanity which we can absorb through Meditation. Pray that you should always be in a position to make best use of the absorbed energies. Various Divine Personalities and Rishis are working very hard for humanity. They have to work through a lot of egos, darkness and conditionings. And finally, it is our choices and efforts that bring us efforts. Be aware of these realities and grateful for each and every gift that we receive. The Shunya Masa energies and the energies from the New Year will be available along with the Purnima energies on this day. These energies help in making and strengthening our long term plans and resolutions. For each of the resolutions we make, we can pray and fill them with bright-Golden Light. It will energise and strengthen and Light them so that manifesting them will be easier. Let us also pray for more Light and knowledge in our lives. This is the day when we bid farewell to the Shunya Masa Rishis and welcome back our Rishis after their month long Tapas. The personality “Sankranti Purusha” is also invoked and welcomed. Sankranti Purusha is the personality of time and incharge of the first half of the year. This year it will be a special and joyous occasion. Sankranti Purusha will be brining gifts for each of the living manifestation on Earth. It will be a wonderful opportunity. Meditate and absorb the special energies. It will help us especially during this Pralaya period. Then offer your love, respects, gratitude and Light to Sankranti Purusha. Then you can place your prayers and concerns to Him as well. Let us also pray for World Peace and for more love, healing and unity. Then imagine “Violetish-Blue Light coming from Sankranti Purusha and allow it fill your entire body. As you keep experiencing this, imagine the Light to fill each and every cell in the body and they are all shining and radiating with Light. The energies of the New Moon help to cleanse many aspects relating to our “material life”. This is important to bring stability and balance. We can always pray for a better life and living. This is also an opportune day for connecting to our ancestors. The Rishis have been stressing on this for the past few months as the love and energies of our ancestors matters a lot during this period. Clearing all karmas and runas with respect to them is also very important. Let there always be humility and gratitude when we connect to them. Let us also spend time in identifying issues so that it is easier to work and clear them. Ratha Saptami is observed as the birthday of the Sun God, Lord SuryaNarayana. On this day, a lot of energies from the Sun will be anchored and spread across the Earth. We too can connect to Lord SuryaNarayana, offer our respects and connect to His energies. The Rishis mention that as this occasion is just before the Lunar eclipse, energies from the Moon God will also be available for experiencing. Before Meditation, offer your respects to both the personalities, Lord Suryanarayana and to Lord Chandra Deva. Be open and receive the energies. These will help in getting better tuned to 2018. Make good use of the opportunity. We can practice the following technique. This will help in initiating a lot of new Light and energies in our cells. Then imagine Bluish-Violet Light coming from Lord Suryanarayana (Sun God) and allow it to fill each and every cell in your system. Do it slowly and gradually. Experience for some time. Then imagine the Light to fill the entire physical body and keep experiencing this throughout the Meditation. Repeat the mantra “Om Surya Shaktiyai, Nyuna Tejasayai Namaha” silently. The duration of the eclipse is between 10:51 to 16:08 UT/GMT. This particular Full Moon Day is important as many events, situations and decisions of 2018 will be decided on this day. Try to mediate through the eclipse. These energies will definitely leave a mark on our lives going forward. The eclipse energies will also initiate a thorough churning and cleansing throughout the Earth. Let us be mentally open for the changes that get initiated and the willingness to improve and grow. Imagine Blue Light coming from above and allow it to fill your entire physical body. Experience it for some time. Then imagine the Light to fill the other four Koshas as well and keep experiencing the Light in all the five Koshas throughout the Meditation. Repeat the mantra “Om Nakshatra Shakti, Grahana Tejasayai Namaha” silently. wE ARE VERY MUCH THANKFUL TO VA TEAM! Hope This New Year will bring Peace ,Bestow Health, Wealth & Happiness To All Sincere Seekers!